Every week you write, post, and share content. From blog posts to tweets, from reports and downloads to email messages, you’re communicating with your audience, leads, and customers. You’re sharing a message. If that message is consistent, then people start to develop trust and expectations. They learn who you are and what you are able to provide them. If your message is inconsistent, then your audience is left confused and unsure of who you are and where you stand. This confusion generally leads to them leaving your fold, or never entering it in the first place. If you want to attract customers and keep them, your message has to be consistent from message to message and across your content channels. In short, you have to have a brand and that brand has to be communicated clearly and effectively in every piece of content that you share. A prospect that is emotionally connected to you, your products, or services. The process of creating a unique name, message and image in a consumer’s mind. The goal is to differentiate yourself from others in the market and to attract and retain customers. There are actually many elements that go into a brand and many ways to communicate your brand. Images used in content and marketing materials. What Makes You Unique? How are you different from your competition? Why will customers buy from you? What Is Your Voice? Your voice is part of your company personality. It’s communicated in the language that you choose in your content and marketing message. What Do You Promise? What is the single most important promise that you make to your customers? What Do You Stand For? What are your values and what is your mission statement? 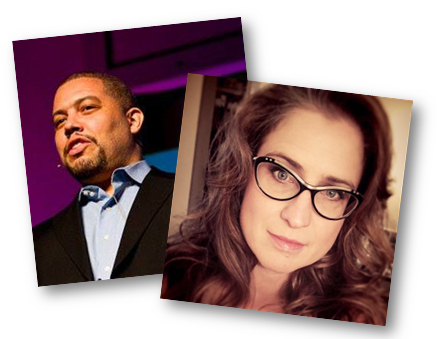 What are your core beliefs and how does your brand communicate that to your audience? So how do you create consistency with your brand? Project a consistent look. – Make sure that your logo is used in all your content and marketing. The colors, the style of your images, and even the look and feel of your marketing materials should all help your audience immediately identify you. Communicate a consistent voice in your communications. You have a voice and a personality. Make sure to express it in every marketing piece and communication you share. Embrace a consistent message across all your marketing and communications channels. Your tagline is part of your message. Your company message is also part of your brand definition. It’s what you stand for. For example, if your brand is about exceptional customer service then that message needs to be integrated into your content. Consistency is about making sure that your prospects and customers never doubt who you are. Each time they come across your organization they receive a branding experience that further solidifies you in their mind. It’s about creating expectations and then meeting them each time you contact your audience. Defining your brand and creating a strategy to communicate it in every piece of content is a first step. Content is the core of your business. It’s what connects you to your customers and audience. Branding your content helps you build a stronger connection. Of course, branding is only the first step of leveraging content and growing your business. You can, and should, also monetize your content. Insider's Strategy Guide: Discover how to brand and monetize your content to attract more loyal customers. 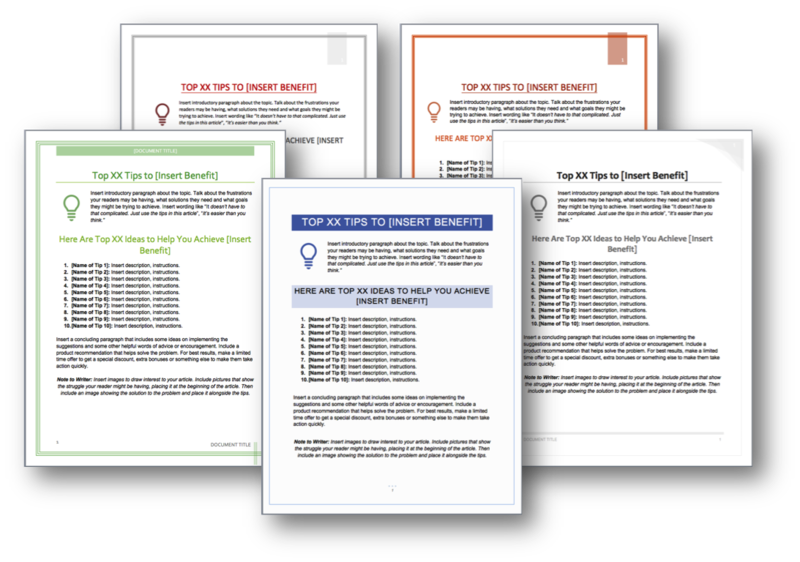 You'll also learn how to put the templates and checklists to best use in this package to get your message across in the best way possible. 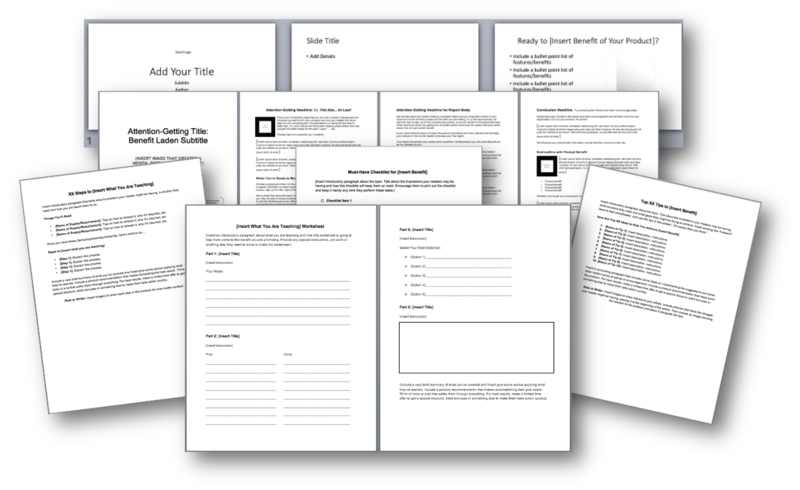 You will get 5 different template sets with 7 templates included in each set to use to help brand and market your content. 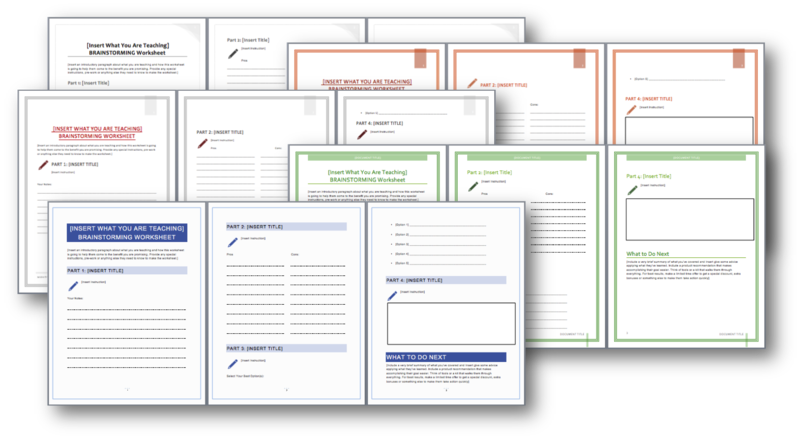 Each set includes templates for a report/ebook, how to article, tips list, checklist, worksheet, slide show and a blank template. 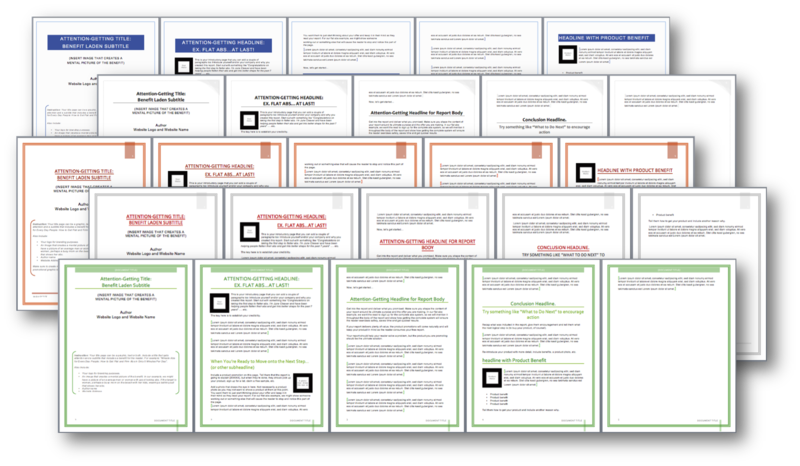 That’s a total of 35 templates + the undesigned originals. Choose between these 5 designer templates to make your report or ebook writing and branding a breeze. We make it easy for you to write your branded how-to articles. Choose between these 5 eye-catching templates. These 5 list templates will help you write up your list content in no time. You’ll get 5 different designs to choose from so you can focus on the content. Everyone loves a good checklist. 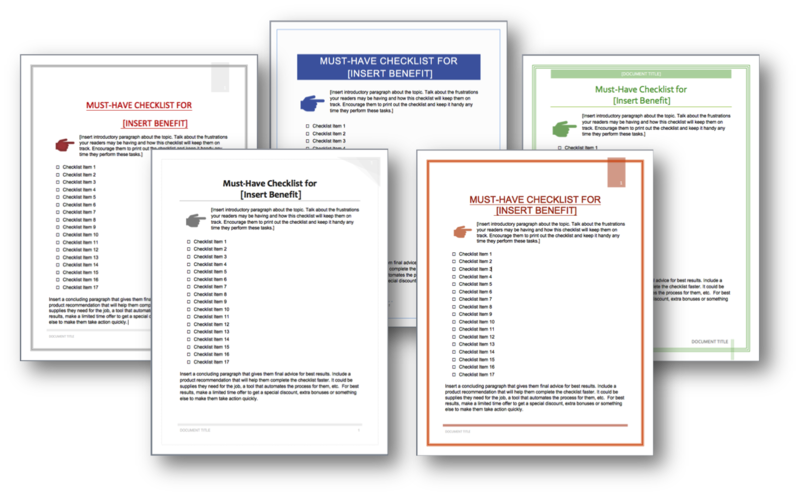 Use the checklist templates to give your readers the details so they don’t miss a thing. Choose between 5 designs to fit your branding. 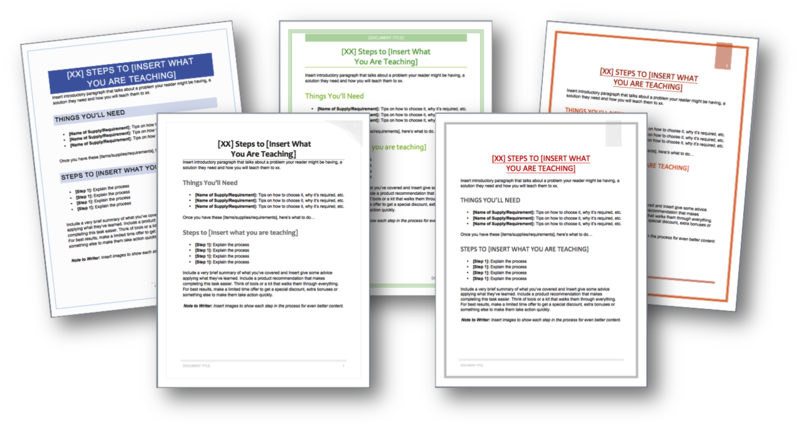 Use the worksheet templates to teach your readers something valuable. It’s broken up in different parts to make it easy to follow. Choose from 5 different templates. 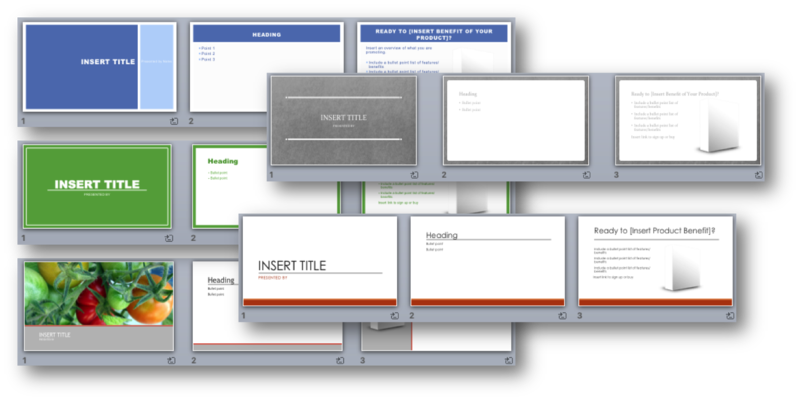 Use the slide show templates to create a course or instructional video. 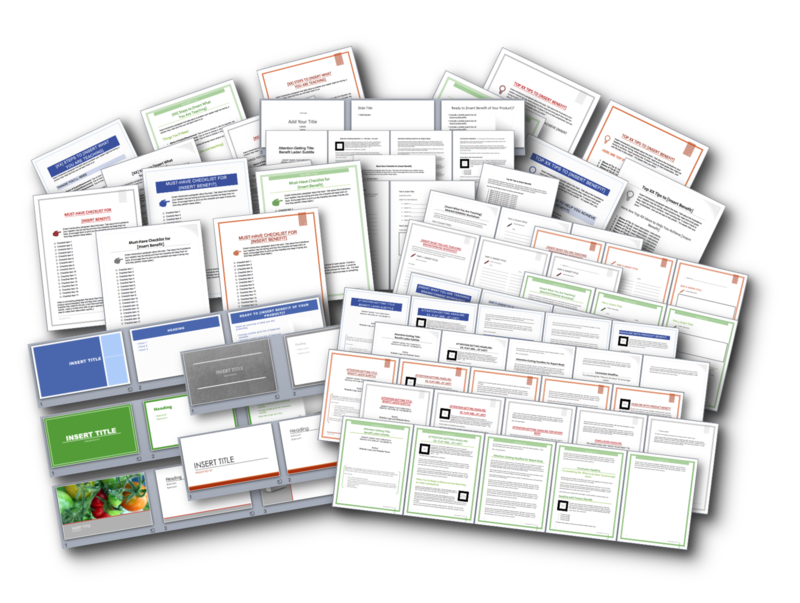 Choose from 5 different templates to help you brand your presentation. You will also get all of the templates in a raw unformatted version, so you can use your own creativity and create your own branded documents. Template package to help you brand and monetize your content.